Whether you love or hate ‘em, there’s no doubting that 2013 was a big year for the selfie. From more than 57 million tags of #selfie on Instagram, to being named the Oxford Dictionaries’ 2013 word of the year, the term is now ubiquitous among social media users. But, why should social media users have all the selfie fun? The quick and simple answer is – they shouldn’t! Selfies are not just a fun trend – they can also inspire. Following a series of successful videos celebrating real beauty, Dove’s #BeautyIs campaign aims to show how social media is helping redefine our definition of beauty. The video below is part of a larger initiative Dove premiered at the Sundance film festival this week called Selfie, where mothers and daughters compare their perceived flaws to the attributes others compliment them on. Selfies can also be used to support and motivate people around an important celebration, event or theme. In an effort to raise awareness of the exhibits and collections at museums around the world, January 22, 2014 was dubbed #MuseumSelfie day. This global initiative generated a variety of artistic and unique images, all with the goal of encouraging people to visit and support museums. 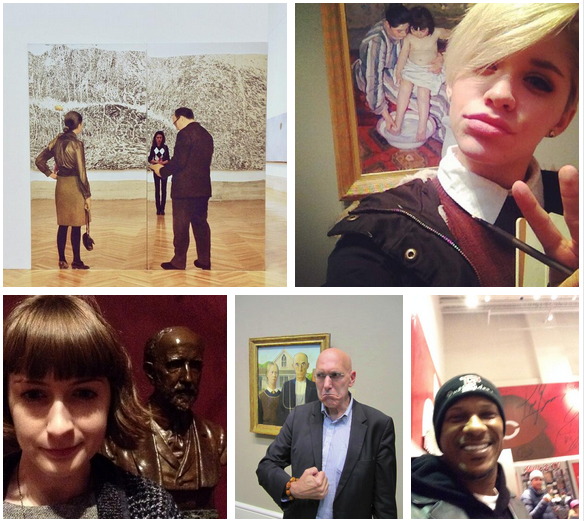 Photo courtesy of the #museumselfie hashtag on Twitter. 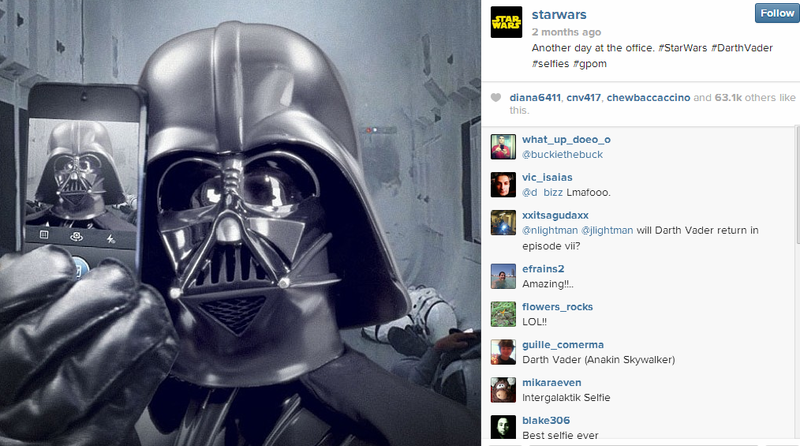 As evidenced by the debut of the Star Wars Instagram account in 2013, the best selfies catch us by surprise. Star Wars undoubtedly had many options to launch its Instagram account with, but selected a comical Darth Vader selfie with the caption, “Another day at the office. #StarWars #DarthVader #selfies #gpom.” In the first four hours, the account reportedly gained 30,000 followers, proving that the force was strong with this “dark” selfie. To date, the image has over 63,000 likes. Who doesn’t love a good photo booth moment? Inspired by the selfie trend, the New York Public Library has installed photo booths at its 42nd Street and mid-Manhattan locations as a way for guests to capture and share a fun image from their visit. Visitors are encouraged to share their selfies and group shots on their social media channels. While many of the images featured are more group shots than solo selfies, the popularity of the program offers a great example for other venues and events to use. Well before the term selfie became ubiquitous, Dunkin’ Donuts was featuring a different fan on its Facebook page each week. Look closer at the photos and they fall into today’s trend of selfies. Fans are featured showcasing their love for the brand and offer the company a great opportunity to celebrate its passionate customers. The best part? 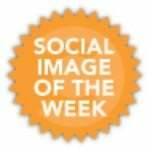 In addition to Facebook, the Fan of the Week images are also shown on the company’s digital billboard in Times Square. Have you seen any creative uses of brands leveraging selfies in social media creative? Share them in the comments below!